﻿1. Planning a Home Sale in Vancouver﻿: This is an introductory section on the importance of careful planning and the advantages of hiring a real estate agent. You will get an idea of the time frame of a house sale and your options as an owner-seller. 2. Real Estate Agent at Your Service: If you weren't sure what a Realtor® can do for you when you are selling, read this chapter and learn about the various specialized services offered by Vancouver agents and why you need those services to get the most out of your house. 3. Working with a Vancouver Realtor®: The process of working with a Realtor® has its rules and nuances; this chapter will help you speed up the process and get the most value out of your relationship with the agent. 4. Know Your Reasons for Selling: Have you taken enough time to think about the sale you are embarking upon? The reasons for your selling will be of interest not only to your agent, but also to the buyer and his or her agent. Make sure your rationale is strong in all points and, know your timing. 5. Improve the Value of Your Home: Do you know which repairs, renovations or upgrades to make in order to get the largest market price increase for your buck? In other words, which repairs and amendments are worth it and which are not? And remember: going green is cool. 6. What to Avoid Before a Home Sale: Renovating is good, but what are the limits? Or should you simply make no repairs at all? Don’t waste money on pointless repairs and avoid chasing off people with new that isn't to their taste. 7. Setting the Price of Your House: Asking the proper price for your house is key. Learn about the required professional appraisals and more. Good house pricing strategy will give you an advantage during negotiations and may positively influence the final price of your house. 8. Marketing Your House: Use the tricks and know-how that are proven to work—we have organized plenty of open houses and advised our clients on staging and presentation, and now you too can learn about effective strategies of marketing your house in Vancouver. 9. Dealing with Offers and Closing: When you receive your first purchase offer, will you know what to do with it? Sure, your agent will be able to help you, but there are points which you will have to evaluate yourself. It's good to know what belongs in an offer and how purchase offers lead to closing the deal. 10. 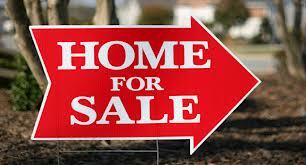 Moving Out, Moving In: Once you sell your house, you will need to move out relatively quickly. Don’t take chances when preparing everything that's necessary for the big haul—we are here to give you the final list of a home seller: the list of moving tips. If you are buying a home in Vancouver at the same time, why not read our home buyer’s guide as well?